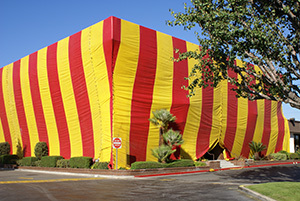 Contact Kilter the moment you suspect you may have termites in your home. There’s no cost or obligation, and we’ll send an experienced technician to your home who will provide you with an honest assessment along with our treatment recommendations. Kilter uses the innovative termite control system – called KILGUARD – instead of fumigation. Our system is not toxic to people or pets and doesn’t involve filling the entire home with fumes. This means our customers don’t have to deal with any major interruptions to their home lives or spend additional money on alternative accommodations. And, of course, our termite control system is proven effective and backed by a two-year warranty. If you require it, Kilter can restore areas of your home that have been damaged by termites to their original condition. Our expert craftsmen use primed, construction-length boards to ensure we preserve the appearance and structural integrity of your home. Schedule your free termite inspection at your home in Glendale, CA, today by contacting Kilter Termite and Pest Control and learn more about the advantages of our termite treatment system over fumigation.